The first rule of warfare is to know one's enemy. The second is to know thyself. More than fifteen years and three quarters of a trillion dollars after the U.S. invasion of Afghanistan, it's clear that the United States followed neither rule well. America's goals in Afghanistan were lofty to begin with: dismantle al Qaeda, remove the Taliban from power, remake the country into a democracy. But not only did the mission come completely unmoored from reality, the United States wasted billions of dollars, and thousands of lives were lost. Our Latest Longest War is a chronicle of how, why, and in what ways the war in Afghanistan failed. 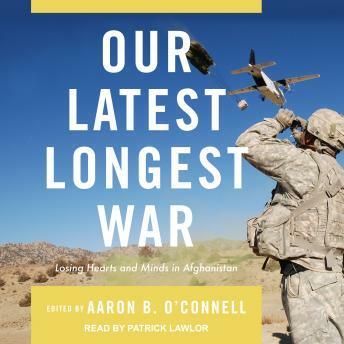 Edited by historian and Marine lieutenant colonel Aaron B. O'Connell, the essays collected here represent nine different perspectives on the war-all from veterans of the conflict, both American and Afghan. Together, they paint a picture of a war in which problems of culture and an unbridgeable rural-urban divide derailed nearly every field of endeavor.